In our society finding employment is difficult enough alone, but even more difficult for those who have little to no work experience and histories of homelessness, incarceration, substance abuse, and/or illiteracy. The media frequently portrays people, like Dieulane Philogene, who have these past histories as lazy, dependent, alcoholics and drug abusers. In our society, we have a skewed perception of this particular group of individuals and we allow it to affect our judgments as rational human beings. Organizations that focus on ethical practices and sustainability for the community do not normally receive as much attention as they deserve. 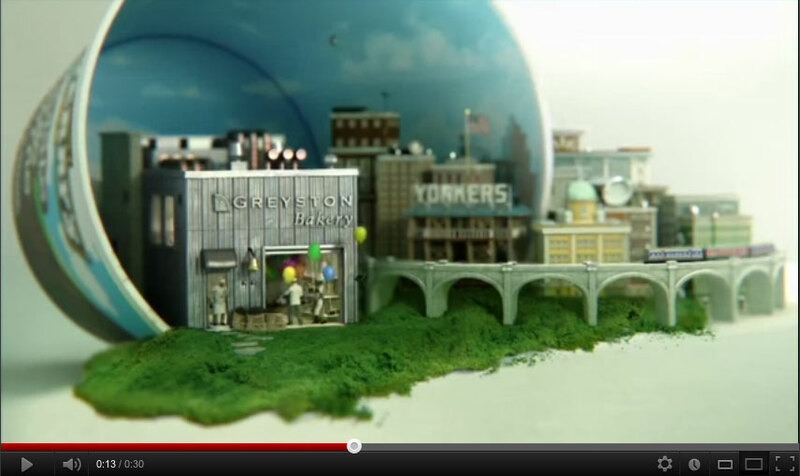 Greyston Bakery is one of those companies. Greyston is a social enterprise within the baked goods industry, which many of us may know them for their brownies in Ben & Jerry’s ice cream. They are a unique company that focuses on their triple bottom line and being a positive force for their employees and the community. Greyston places a huge emphasizes on their open door hiring policy, where they offer employment opportunities regardless of education, work history, or past social barriers. Their mission is to foster, “a force for personal transformation and community economic renewal” and “create jobs and provide integrated programs for individuals and their families to move forward on their path to self-sufficiency” (Greyston, 2015). The company’s success has been driven by their social action in Yonkers, NY, an undeserved community. Greyston is becoming a leading social enterprise, as they are, “a $5-million-a year-business” that “doesn’t hire people to make cakes. It makes cakes to hire people” (Leung, 2004). It is clear that Greyston is a company that strays away from the typical for-profit and highlights their capabilities of being profitable and socially responsible. I will use Norman Bowie’s idea of a Kantian workplace to ethically analyze the position of Greyston as a morally virtuous organization. Greyston was born as a response to communities who have been isolated and looked at as low priority, as they decline further past the national and state average. Individuals from Yonkers, NY have histories of substance abuse, homelessness, incarceration, welfare dependence, domestic violence and/or illiteracy. Greyston’s founder, Roshi Bernie Glassman recognized this as an opportunity to provide people who were “hard-to-employ a new chance at life” (Greyston, 2015). Before Greyston was founded, Bernie Glassman quit his job as an applied mathematician to become a Zen Buddhist priest. In 1982, Glassman and the members of his meditation group borrowed $300,000 to open a small bakery in the Bronx at the interest of making profits to support their group. Instead, they used Zen Buddhist beliefs as a grounded philosophy to better the community and the lives within it. The belief of Zen stresses the attainment of freedom from all unnatural encumbrances (Suzuki, 1964, 41). Glassman saw social barriers as unnatural because humans have socially constructed these obstructions. And three years later, the group decided to marry spirituality with social action, which motivated them to build the factory in Yonkers, NY. The group decided to sell their mansion near the Hudson River, where they lived as a mediation group, as proceeds to buy an abandoned factory in Yonkers. This was around 1985 when Glassman implemented the open-door policy employment to hire chronically unemployed individuals and giving them a job and income. Momentum started to pick up and Greyston’s reputation grew to becoming “the top six, tied for second with four others” in Zagat’s 1999/2000 survey for 160 baked good establishments in New York City (Boschee & Goddard, 2001, 78-79). In 1987 Ben Cohen, founder of Ben & Jerry’s, met Glassman over a friendly conversation, which was the catalyst of their successful partnership in social innovation later on in 1992 (Greyston, 2015). Ben & Jerry’s noticed the effectiveness of Greyston’s social engagement of providing the Yonkers community with more opportunities to foster economic renewal and personal transformation. Greyston’s dedication to their triple bottom line is amazing as other organizations may see it as a difficult task, especially in an inner-city community. “Social media has inadvertently undermined the creation of economically viable companies” in an inner city community (Porter, 1995, p.55), but Greyston did not see this as a set back. They saw it as an opening to build a successful business to spread their ideas of bettering communities and individuals through investments of building proper infrastructure for people to actually achieve personal and communal transformation because “without such companies and the jobs they create, the social problems will only worsen”(Porter, 1995, p.55). They have made efforts towards achieving these goals through many initiatives. Their initiatives focus on: creation of resources, partnerships with other organizations, and philosophy of achieving wholeness. Greyston Foundation. Greyston has become a social enterprise role model for the past 33 years. Despite their growth in the market, the philosophy Glassman brought to the organization created a sense of duty to the organization’s belief and social mission towards sustainability and economic restoration. As Glassman’s vision grew beyond the hiring policy, they started the Greyston Foundation in the mid 1990s, which is a non-profit umbrella organization that manages various programs for disadvantaged families in Yonkers. The “integrated network of programs provided jobs, workforce development, low income housing, supportive services, childcare, after-school programs, tenant services and community gardens” (Gorski, 2015). The Greyston Foundation funded through the profits of the bakery, grants, other business ventures and private donations serve over 2,200 community members annually. Glassman’s dedication to community development and human growth was one of the main contributors to their success. He wanted to provide people a supportive community and opportunity that enables them to take ownership of their lives and getting back into society because everyone deservers a chance to work (Leung, 2004). Greyston fostered a supportive community through engagements between consumers and employees with blogs and social media. They also utilized shared personal experiences of employees who express how much the foundation and company has done to help them escape their situation. Glassman wanted his employees and community members to not feel like they were forgotten about in our society, but active contributing members. The numerous benefits from the programs shaped a more self-sustaining community of individuals who have more control over their career and life. The fact that Greyston invest so much into their employees and local community, it closely aligns the organization and stakeholders together with the company’s mission. The company’s passion for social and economic sustainability in communities like Yonkers, NY is exemplified through the various initiatives that keep the company focused. Partnership. Greyston started off on a smaller scale by giving back to the local community, but more recently in 2012 Greyston decided look the issue on a larger scale and partnered with Whole Planet Foundation, a non-profit established by Whole Foods Market. Whole Planet Foundation goal is to alleviate poverty through microcredit loans in developing countries that Whole Foods sources from. Greyston saw this route as an opportunity to tap into the global market by spreading their goal of “giving people the hand up they need to change their own lives” (Gorski, 2015). Whole Planet so far has helped alleviate poverty in 57 countries and impacted 1.79 million lives by “giving them a chance for a better life through entrepreneurship” (Newell, 2013). As Greyston’s mission states to, “create jobs and provide integrated program for individuals and their families to move forward on their path to self-sufficiency” (2015). Greyston views the microcredit loans as a different approach to tackle this social issue and a gateway out of poverty. The partnership served to support the advancement of social initiative. Greyston’s brownies are sold in Whole Foods and 1% of brownie sales go to the Whole Planet Foundation. Thus far Greyston has donated $6,500 from brownie sales. Since then Greyston has been committed to individuals in need and see them as people, who are not lazy or dependent and have the drive to better their lives if given the chance (Newman, 2013). PathMaking. Part of Greyston mission is personal transformation for individuals to become self-sustaining. PathMaking is both a philosophy and a program where they believe “individuals can be supported to achieve ‘wholeness’” (Greyston, 2015). This idea thinks of “all healthy living systems whether individuals or communities evolve along a developmental path with distinct stages” (B Corporation, 2012). Greyston looks at the bigger picture for people where they do not want to simply provide a job and enroll people into the program, but work on a plan with each individual to find their path. The assistance provided for individuals who are “hard to employ” motivates them to achieve more for themselves and realize “their own self-worth and ability to move successfully down their own path” (Greyston, 2015). The program also offers a set of resources like assessment and goal-setting tools to show individuals how to have a well-balanced life based on one’s body, heart, mind, spirit, and self connection. These tools are in place to aid individuals who are assessing their strengths and barriers to identify experiences and behaviors that support or hinder positive movement. Along with the assessment there is guidance in education, mental health, health and wellness, and personal finance in hopes of developing stronger and healthier individuals through personal growth. Greyston see individuals that go through this transformation causing a ripple effect to the greater community because “as individuals become more self-sufficient and self-assured, they become stronger participating members of the community, and the community becomes stronger as a whole” (Greyston, 2013). These are only a few examples of how Greyston engages with their stakeholders in building a more sustainable society. As Kant and many of us would agree, Greyston is a morally virtuous organization. Norman Bowie’s idea of a Kantian workplace is based on deontological moral theories. Deontology is an ethical theory that evaluates our decisions based on universal duties or principles in doing what is “right” (Trevino & Nelson, 1995, 91). Kant refers “the fundamental principle of ethics as the categorical imperative” (Bowie, 1982, 4) and formulates it in three main formulations that Greyston follows through their sustainable practices. The first formulation of the categorical imperative says, “act only on maxims which you can will to be universal laws of nature” (Bowie, 1982, 4). This acts a gatekeeper to see if actions, including business decisions, are morally accepted. Kant believes that our actions have a maxim and ability for these principles to be a universal law (Bowie, 1982, 4). Would it be possible for this principle to be used at willed universally? And would other organizations benefit from universalizing the philosophies and actions of Greyston? Yes, I believe it is possible to universalize Greyston principles, as it will bring tremendous benefits like improvement in company culture and creation of sustainable individuals and communities. If all organizations gave people a second chance at employment and invest in their development, it could help alleviate some of larger social issues our world faces today like poverty and violence. The implementation of these programs would help people become more autonomous, which in return can motivate individuals to become stronger participants in the community allowing it to be stronger as a whole. Employers will be able to construct a more attractive and efficient workplace as companies invest more in their employee’s success, which will lead into employees investing more into the enterprise. The principles of sustainability Greyston implements can help our society create jobs and provide useful programs that will help individuals move forward into a path of self-sufficiency for their families and selves. If organizations believed that everyone evolves in different distinct stages and sometimes people face bad experiences due to social barriers all still deserve a chance in our society, there would be greater relief within social issues like incarnation, violence, and poverty. Even if a company does not care much about these issues, Greyston’s success in being profitable social enterprise is enough for making these principles universal. The second formulation states that people should, “always treat the humanity in a person as an end, and never a means merely” (Bowie, 1982, 4). In a business relationship, human beings should not be used to satisfy one’s own interests and have practices that are arranged to “contribute to the development of human rational and moral capacities” (Bowie, 1982, 8). Kant would agree that Greyston aligns with the second formulation and treats their employees with respect. Greyston’s initiatives for their employees and community are seen as moral because they maintain a supportive environmental for employees to achieve wholeness. They deliver various resources through the Greyston Foundation and the enterprise itself promotes guidance in achieving success in an individual’s path. The organization sees the community and employees as humans who have the willingness and ability to rejoin society as a contributing member, which Greyston helps in accomplishing those goals. They give their employees good benefits and encourage each employee to find their own separate paths to the attain freedom. Greyston values the independence of developing people with rational and moral capacities. The various programs like HIV/AIDs support and childcare extends out to all stakeholders including community members. Greyston employees are encouraged to rational independent human begins and become change agents in the community. The third formulation of the categorical imperative says, “so act as if you were a member of an ideal kingdom of ends in which you were both subject and sovereign at the same time” (Bowie, 1982, 4). Businesses and communities are made up of individual persons, who are all rational and moral, and governed by the morality of treating people with dignity and respect. In this moral community, everyone in the organization should endorse the rules and policies in moral relationship to others (Bowie, 1982, 10-11). It is suggested that if the first two formulations are implemented accordingly and fulfilled then Greyston is a moral community for all stakeholders. Greyston’s success in executing various initiatives, like the Greyston Foundation, PathMaking program, and partnership with Whole Planet Foundation, has allowed them to be a positive social enterprise that pushes for sustainability in a multitude of ways. As discussed above in the first two formulations regarding how Greyston’s actions and behavior exhibit a moral community and a Kantian workplace for stakeholders, who are treated with dignity and respect. It is apparent that Greyston acts in a moral manner and becoming a, “role model for companies looking for advance social consciousness and action in their day-to-day business activities” (Ben & Jerry’s). Greyston’s initiatives and philosophy has grounded them in becoming a prosperous organization that brings both effective and positive change to society, especially to the Yonkers community. They have turned into a strong social enterprise due to their prevalence in not losing sight of the social mission and “a means of becoming ‘a sustainable model for inner-city business development’” (Wilburn & Wilburn, 2013, 16). There is no indication of Greyston slowing down anytime soon as they are giving back to our global society through partnerships like Whole Planet Foundation and innovation in sustainable practices. Recently in 2012, Greyston started making strides towards environmental sustainability through the building of a new LEED certified factory and partnering with Green Mountain Energy. In our socially conscious society today, Greyston is seen as a progressive contributor to the way we view successful businesses and business models that value social responsibility and sustainability. Boschee, J., & Goddard, T. (2001). The social enterprise sourcebook: Profiles of social purpose businesses operated by nonprofit organizations. Minneapolis, Minn.: Northland Institute. Bowie, N. (1982). Business ethics: A kantian perspective. Englewood Cliffs, NJ: Prentice-Hall. Suzuki, D. (1964). An introduction to Zen Buddhism. New York: Grove Press. Trevino, L., & Nelson, K. (1995). Deciding What’s Right: A Prescriptive Approach. In Managing business ethics: Straight talk about how to do it right (3rd ed., pp. 88-109). New York: J. Wiley & Sons. Wilburn, K., & Wilburn, R. (2013). The double bottom line: Profit and social benefit. Business Horizons, 11-20. Previous PostAmateurism: An Excuse to ExploitNext PostINSITE: A Consequential Problem or the Ethical Solution? Fascinating. How involved was the original community of Buddhists over the long-term?